Houston fans of the ubiquitous ShackBurger can rejoice. 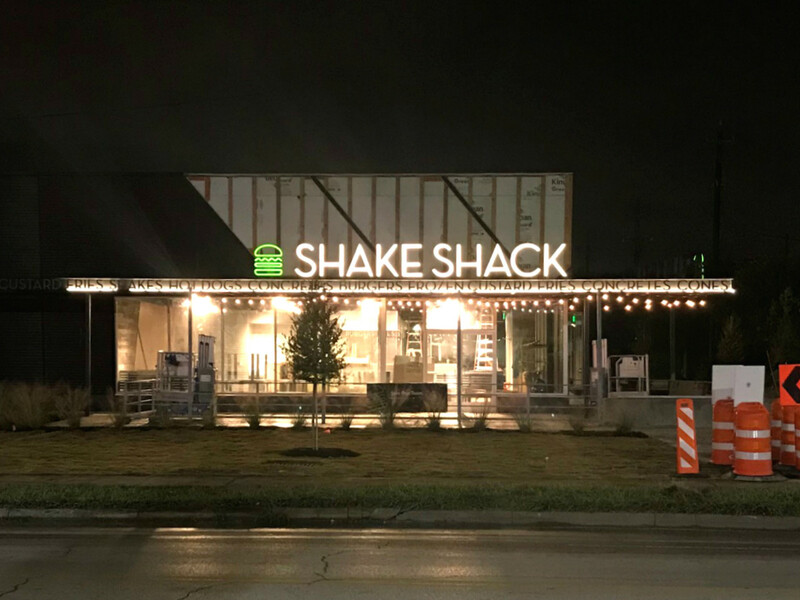 Popular burger joint Shake Shack has announced the opening date of the highly anticipated Montrose location. The new 3,400-square-foot store located at 1002 Westheimer Rd. will open Thursday, December 20 at 11 am, according to a statement. Patrons who've lined up will be rewarded with the Texas-exclusive Lockhart Link Burger, a cheeseburger topped with a Kreuz Market jalapeño cheese sausage link, pickles, and the beloved ShackSauce. To further sweeten the deal, Shake Shack will offer up the Pie Oh My concrete, a sweet treat that features vanilla custard mixed with a slice of Fluff Bake Bar seasonal pie. In celebration of the opening, 25 percent of proceeds from opening day (as well as 5 percent of all future sales from the Pie Oh My concrete), will support community partner Houston Humane Society. As CultureMap reported, the Montrose Shack will feature an outdoor patio and utilize “recycled and sustainable materials,” including table tops made from recycled bowling alley lanes (much like Nancy’s Hustle). This is Houston's first freestanding Shake Shack location with dedicated parking; the Rice Village and Galleria outposts are part of larger shopping centers. Minute Maid Park patrons can also get their fix during ballgames — but that's solely in-game and during baseball season.